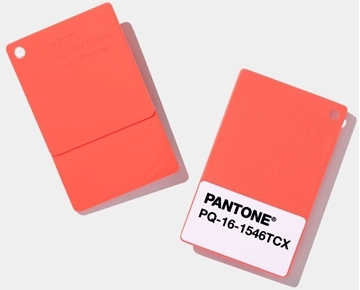 Pantone colours in plastic both from the Graphic PMS & the Fashion Home + Interior TCX system in plastic swatch service! 1755 colors from the PLUS system is now available to buy individually or as a complete set! Gradually also all the colors from the TCX system are launched in plastic - welcome with your order! 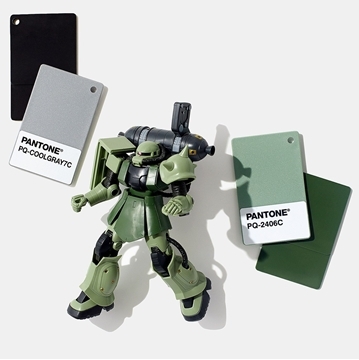 Pantone Plastic system with 1.755 PMS colours. 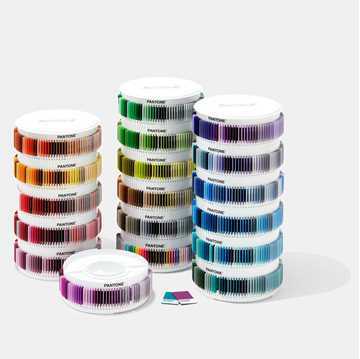 Organized into three carousel towers that rotate for easy colour location and replacement, the PANTONE Plus Plastic Standard Chips (also known as PMS) Collection includes a large-size (5 x 7,5 cm) polypropylene chip for every color in the system. Single chips - pick your favourite and send to your supplier, client or simply to replace a chip lost in your system. 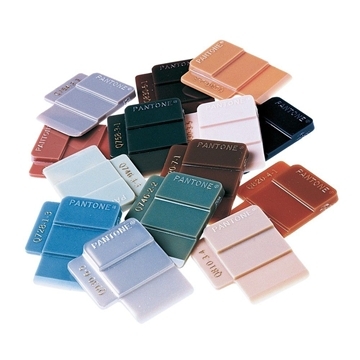 Choose from 1740 PANTONE PLASTICS opaque and transparent chips - AS LONG AS STOCK EXISTS. A REQUEST IS SENT TO PANTONE UPON ORDER RECEIPT.